The glaciers that flow out of the Greenland Ice Sheet move tons of ice out of the ice sheet each year. 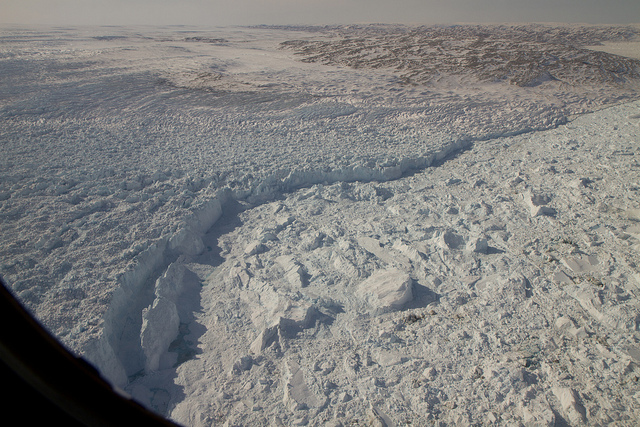 Many of these rivers of ice meet the ocean where relatively warm currents weaken the glacier’s terminus, causing icebergs to break off in a process known as calving. This forms a cliff-like feature called a calving front, where icebergs break off and fall into the sea. The presence of these currents is part of the reason why ocean-terminating glaciers are so dynamic. In contrast, land-terminating glaciers move more slowly and lose mass through melting on the surface rather than calving. On a recent IceBridge flight, instruments aboard the P-3 captured views of two very different glaciers in east Greenland, the De Geer and Wahlenberg glaciers. The images below show the difference between a dynamic, ocean-terminating glacier (De Geer) and a land-terminating glacier that is essentially dormant (Wahlenberg). 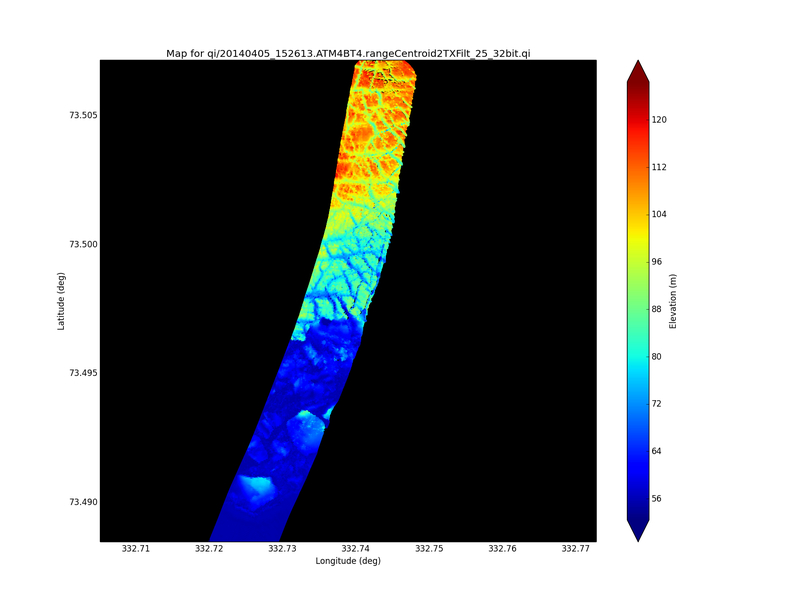 This image, is a plot showing data on De Geer Glacier from the Airborne Topographic Mapper instrument, a laser altimeter that measures ice surface elevation. Here we see the differences in elevation between before and after the calving front and in crevasses on the surface. 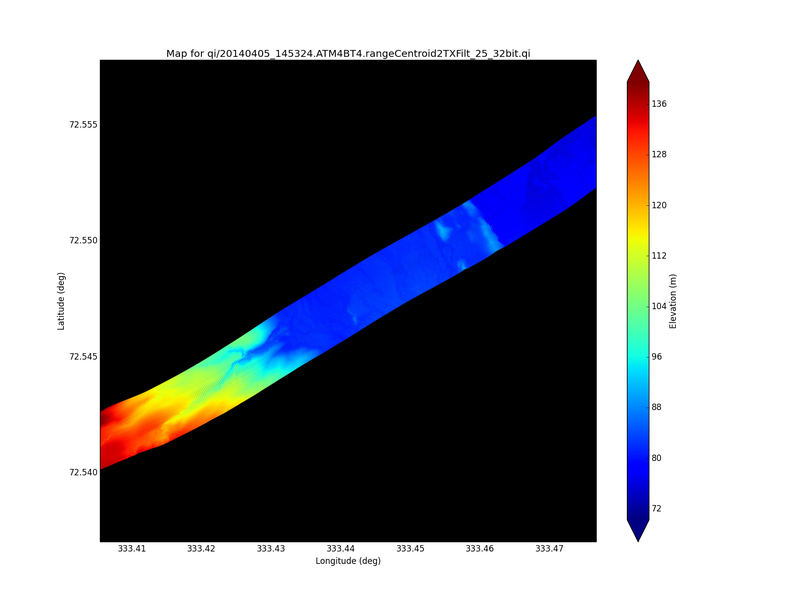 In contrast, this ATM plot of the land-terminating Wahlenberg Glacier shows a smoother surface and more gradual change in elevation along its end.